The basic airframe was kept, but the electronics, weapons and armor under went a major overall. Two new Nakajima/P&W/Rolls-Royce FX-2010 fusion turbines were added to replace the venernable FF-2001 or FF-2001D initially installed. These engines produced 25% more thrust than the earlier models at three-quarters the weight. The aging Hughes AWG-20 X-band pulse-Doppler radar was replaced with a new AWG-30 model providing 50% greater detection range. The armor was upgraded to the Chobam laminar found on the VBF-1 and VAF-6 series of veritech fighters. In addition the two nose lasers were replaced with two EP-4 single barrel particle cannons Each cannon is charged from the main protoculture generator and can fire 9 MJ of particle energy every second. 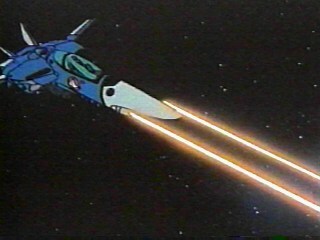 The head lasers were similarly upgraded to LA-5 lasers able to fire 6 MJ bursts every 2 seconds. The first production upgrade was rolled out in March of 2029 and entered combat service the next month in South America. 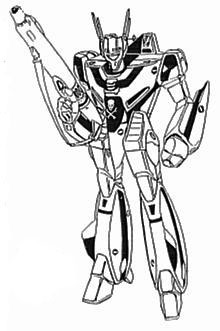 Major David Olson flew the first upgrade VF-1M into combat against remnants of the Khyron's Vipers a Zentraedi Malcontent band. Although he was shot down moments after the combat began and the mecha was completely destroyed, the RDF high command decided that the Morningstar package was an inexpensive means by which they could upgrade their forces. The upgrade kits went into full production on September 2029 at New Albuquerque base in the North American Quadrant. All total some 1,129 VF-1A, J, and S models were upgraded with a majority taking place on the Valkyrie fighters placed on Earth because of the Robotech Master blockade. These fighters were immediately placed into action against the Master's Bioroids and Assault Shuttle forces to mixed success. Generally, the Morningstar pilots had lower death and higher kill rates than their Southern Cross comrades in arms. This result is more likely due to the fact the the RDF pilots were generally more experienced. Nevertheless, it is undeniable that the Morningstar upgrade package allowed the RDF to play a more significant roll in the Second Robotech War than it otherwise would have. At the end of the war, most of the Morningstars had been destroyed. 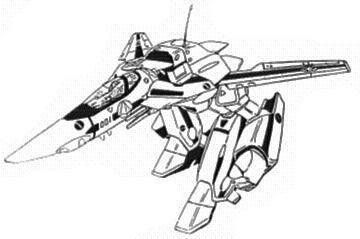 However, some 100+ of the units survived the Invid invasion and were highly prized by resistance forces for their longevity of the protoculture generator and their high maximum speed which could often outrun any Invid mecha . Destroying the sensor head of the Morningstar will knock out the mecha's major sensor systems, including all of the optics systems (infrared, nightvision, thermal). Radar and communications will be unaffected. Service ceiling : 40 km (unboosted). Two Nakajima/P&W/Rolls-Royce FX-2010 fusion turbines, total engine output 332 kN total at max. power; 613 kN are available with overboost. Exhaust nozzles allow for vector thrust, serving in place of conventional elevators. System includes two reverse-vernier thrusters, on blisters outboard of each intake; exhaust comes directly from main turbine at a maximum of 20% thrust. 9.1m at shoulders in soldier and gerwalk configuration. 14.8m with wings at maximum extension. GU-111 65MM THREE-BARRELED SMOOTHBORE ROTARY: firing 700 rounds per minute, 600 round capacity stored internally. RANGE: Armor Piercing Spin Stablized Discarding Sabot (APSSDS) 5249 feet (1600 m), or 3937ft (1200m) for all others. PAYLOAD: 600 rounds of internal ammunition or 60 short bursts, 30 medium, or 15 full melee. 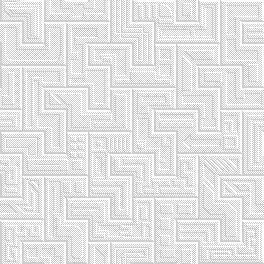 NOTES: APSSDS crits on 17,18,19,20. HEAP crits on 19,20. Tracers add +2 to strike. 2 x NOSE MOUNTED EP-4 THREE-BARRELED 80MM PARTICLE GUN POD: Can fire 9 MJ bursts of particle energy every second and is powered by the main protoculture generators. DAMAGE: 1d4*10 for each single shot, or 2d4*10 for each dual shot. RATE OF FIRE: Single shots equal to the combined attacks of the pilot. LA-5 HEAD LASERS: The head lasers were upgraded to the more powerful LA-5 laser cannons capable of firing 6 MJ shots every two seconds. RATE OF FIRE: Single shots equal to the combined attacks of the pilot up to eight times per melee. BODY/WING HARD POINTS: Two fixed hard points are mounted on each wing. These hardpoints can be used to carry 15 short range missiles, 5 medium range missiles or 2 long range missiles. HAND TO HAND COMBAT: If necessary, the Morningstar can engage in melee combat rather than use a weapon. The VF-1M is extremely agile and can execute most typical hand to hand combat moves, such as punches, jump kicks, leap attacks, rolling with impacts, etc. AUTO-PILOT: The Morningstar is equipped with a computerized auto-pilot, allowing the pilot to relax or even sleep during long voyages. The auto- pilot can be programmed with a single destination or a complex flight plan involving multiple speeds, directions, and destinations. The onboard computer will alert the pilot when the fighter is near its destination, and can also be set to automatically signal when sensors detect objects near the mecha. The auto-pilot was designed with long intra-system space journeys in mind. HOMING SIGNAL: The escape pod of the VF-1M is equipped with a homing device that enables rescue teams to locate a disabled craft or ejected life pod. The range of the signal is 400 miles (640 km). Most REF ships and veritecs can locate and track a homing signal, and the onboard computers will automatically notify their pilots if such a signal is detected. SELF-DESTRUCT: To prevent capture of an advance variable fighter by the enemy, the pilot can activate the VF-1M self-destruct system, which will cause the fighter to explode after a delay of up to 60 minutes (time is set by the pilot). The explosive damage is contained within a 20 foot (6 m) area and inflicts 1D6x10 M.D. to everything within the radius of the explosion. All internal systems are obliterated. The escape pod will be automatically ejected prior to the explosion unless the pilot overrides the ejection sequence. TACTICAL LIFE SUPPORT SYSTEM: The Morningstar cockpit is pressurized, and also provides additional air feeds to the pilot's flight suit that provides him with pressurized breathing. The REF flight suit also contains an upper and lower g-suit that promotes blood circulation even during high-g turns, thus decreasing the possibility of pilot's blacking out in combat. Add one additional action/attack at levels six and eleven. +2 to dodge in solder, +4 in guardian, and +6 in jet mode. Palladium Books: "Robotech The Roll Playing Game"